At a retreat to South Carolina earlier this year, more than a dozen families affected by hazing deaths met to form the Anti-Hazing Coalition. Their goal was to prevent incidents similar to the ones that stole away their children and siblings from taking away other people’s relatives as well. For universities and Greek-life organizations around the country, 2017 was a grim year. 74 deaths due to hazing or alcohol have occurred on college campuses since 2000, and last year four pledge members at different schools died due to hazing — one death occurred in Pennsylvania. The phenomenon garnered national attention, sparking debate over the merits and demerits to even having Greek systems on campuses. These deaths have also shed light on the ambiguity — or lack of — state hazing laws. As a result, courts are necessarily getting tougher on hazing cases, but there is still work to be done to create legislation that appropriately deals with hazing on campuses. 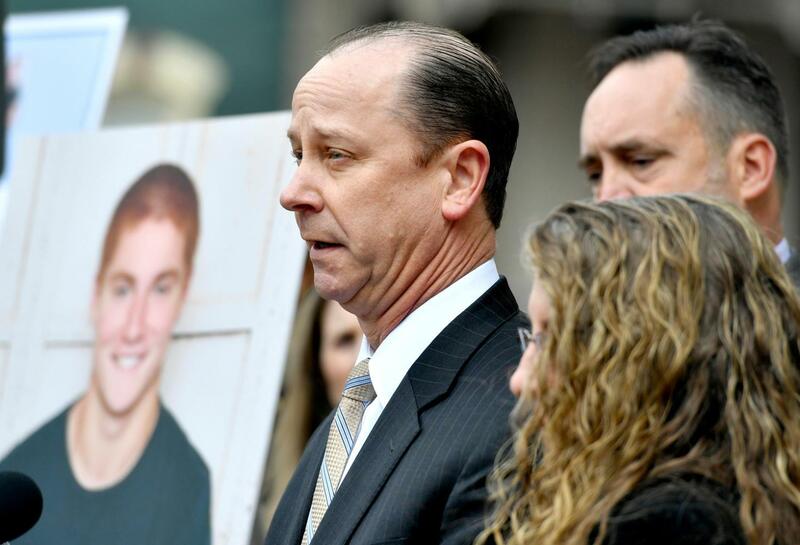 The Anti-Hazing Coalition’s first goal is to pass “Tim’s Law,” legislation that has already passed the Pennsylvania Senate and awaits approval by the House and a signature from Governor Wolf. The law is named after the Penn State University pledge student Timothy Piazza, who died in February 2017 after drinking 18 alcoholic beverages in 82 minutes as part of a hazing ritual by Beta Theta Pi. Tim’s Law would make hazing a felony punishable by up to seven years’ jail time, meaning it would be one of the toughest anti-hazing laws in the country and a much-needed means of deterring and possibly preventing fraternities from engaging in high-risk hazing activities. As Jim Piazza, father of 19-year-old Timothy Piazza, pointed out at Sigma Alpha Epsilon’s annual leadership conference this year, “good anti-hazing legislation doesn’t hurt anybody.” In fact, it could start a meaningful dialogue between universities and fraternities about the finite consequences of hazing. But the defendants in Piazza’s case most likely won’t get close to seven years in prison — if they get any at all. Ryan Burke, a former Penn State Beta Theta Pi frat brother, was the first of more than 20 defendants to plead guilty in the case of Piazza’s death. He originally faced counts of involuntary manslaughter, aggravated assault, simple assault and reckless endangering of another person because he gave Piazza a handle of vodka as one of the drinks he consumed, but they were ultimately dismissed. Burke was sentenced on July 31 to three months of house arrest, 27 months of probation, 100 hours of community service and a $1,000 fine for four counts of hazing and five alcohol-related violations. He received no jail time. While Burke’s sentence is much lighter than what it could have been — and what many say it should have been — it’s a stronger response than that of other Pennsylvania hazing deaths. Everett Glenn was another fraternity member who died after a Kappa Delta Rho party at Lafayette College in 2012. At the on-campus fraternity’s gathering, he binge-drank, fell asleep on his back, vomited and died of cardiac arrest. No frat members were convicted of any crimes — the college only prohibited membership in off-campus fraternities as a result. Similar stories of a lack of legal action against the orchestrators of hazing abound in both Pennsylvania and schools across the country. Surprisingly, not all states even have hazing laws that equip them to deal with these cases, according to a 2018 examination by Christopher Keith Ellis of the University of Kentucky. He found only 44 states have these laws in place and that the definition of what constitutes hazing varies widely. The populations that can be held responsible and the state’s role in adjudicating hazing cases also differ across the country. The Pennsylvania House should seek to pass Tim’s Law to discourage situations similar to the one that led to Piazza’s death and should be willing to work with groups such as the Anti-Hazing Coalition to more clearly define what hazing is and what the state’s role is in punishing it. Other states should model Tim’s Law to adopt harsher stances against hazing — but to do so, they’ll need the help of activists like the Anti-Hazing Coalition as well as universities. There also needs to be a dialogue between legislators and universities to discuss definitions of hazing and consequent penalties that appropriately deal with incidents that schools have faced in the past and could face again. This dialogue needs to be communicated to Greek life as well so that the organizations fully understand the heightened consequences that could result in hazing under harsher laws, and so that they have a voice in how their members are being protected. The progress Pennsylvania is making in reaction to hazing deaths is an important, precedent-setting step in combating this deadly trend, but there’s still more it can do. Hopefully Pennsylvania and other states across the nation will figure this out without having to wait for another hazing death to inspire them to action.